"Assemble freely, bear arms — the works!" 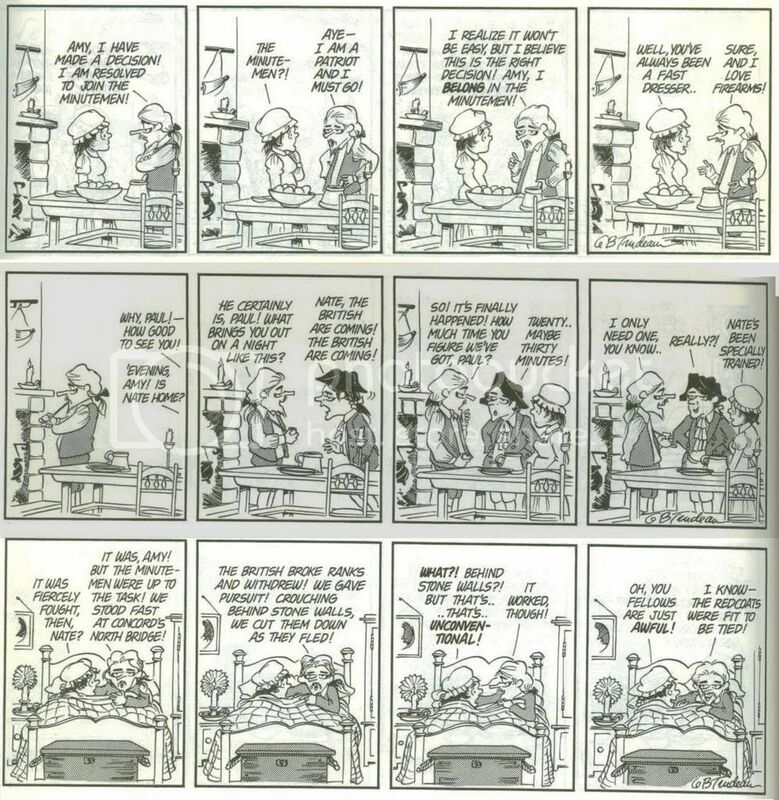 I grew up reading Doonesbury. 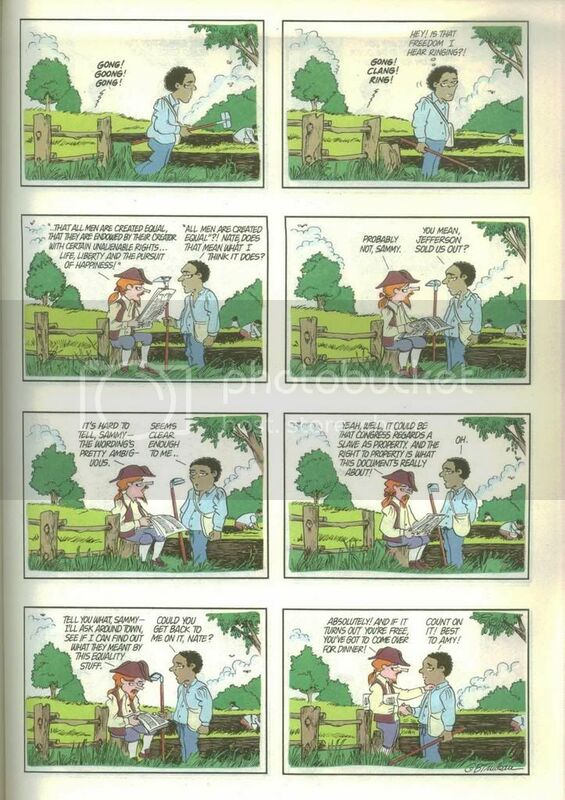 I didn’t quite understand all the cultural and political references, but I liked its rhythms and Garry Trudeau’s style. I had thought Trudeau produced these for the Bicentennial, but these first ones actually came out in late July and August of 1975. Even as he celebrated their achievements, Trudeau poked fun at the white-male culture which produced the Declaration of Independence. Later strips, written in support of the Equal Rights Amendment campaign, had Nate’s wife Amy become an apprentice silversmith under Paul Revere. 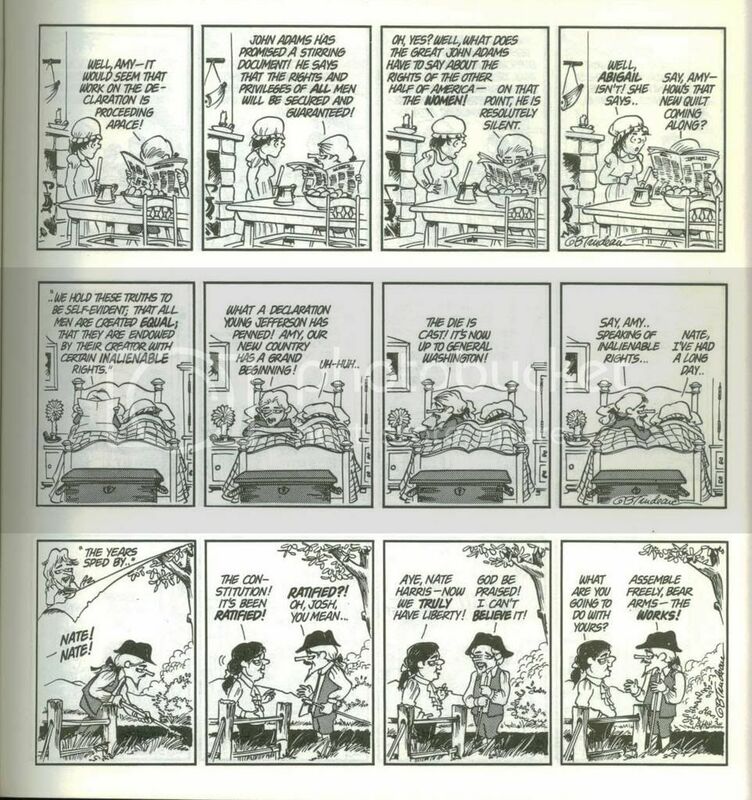 However, he returned to Nate for the strip which appeared July 4, 1976. I love my country, and I love its potential. Let’s never forget, as this day reminds us, that governments are instituted to secure our basic rights. Ultimately we’re in charge, and we have the power to make even the most arrogant, spoiled plutocrat who stumbles into office do what we want. It’s not perfect, but let’s resolve to keep trying. Back to less political content soon.